This is Part 2 of The Lawful Rebellion Guide, Chapters 8 to 13, with Guy Euden and David Ophalus talking about the wider scope of Lawful Rebellion answering questions that have been left open to alot of people for a long time. They have given over their own valuable experiences and as much information and explanation backed up with links to further information as is necessary to gather up a comprehensive introductory guide of this colossal movement, Lawful Rebellion. 35m 40s – Examine your neighbours bins for… anything! 1h 00m 10s – THE OCCULT WORLD OF COMMERCE – JORDAN MAXWELL – WHAT A ‘COURT’ REALLY IS. CHAPTER 13: WHAT IS WRONG, UNDERSTAND WHO AND WHAT YOU ARE, WHEN YOU DO UNDERSTAND THIS! Excellent and useful once again. Thanks so much. People in my office don’t listen to me, but when I play these golden audios they start to take notice. Thanks for taking the time to strucuture your findings and create this resource. One thing that is mentioned at the end of this talk is that gaining the knowledge turns your world upside down. I would like to say that for me this knowledge has spun things the right way round. will learning a bit of double entry bookkeeping help me draw up some afv instructions? No doubt it would, but why do you want to write out AFV accountancy instructions? Send all AFV’s to either the CEO or Chief Accountant. It is extremely unlikely that they would follow any instructions you send them regarding the accounting. The big boy accountants know how to perform bankruptcy accounting. Why don’t you try getting Alistair Darling d/b/a Chancellor of the Exchequer into a private agreement and stating that it is both lawful and valid for you to use the trust account (National Insurance account) to adjust and balance any public debts pertaining to the legal fiction? Then try sending a copy of that with your Accepted for Value (negotiable instrument) presentment. Regards, Matt. Been studying freemen stuff for a year or so now and would like to say thanks for the great site you have put together. The info has put alot of stuff into perspective for me and made me realise that affadavits seem like the way forward. I have been in discussion with HMRC for some time now as to wether income tax is legal/lawful and putting in FOI requests asking them to define words ie person, individual, includes etc. They have refused to answer some requests but have answered others leaving me at a bit of a loss as to how to proceed. I have been sent a notice of legal proceedings and threatened with baliffs. I feel pretty confident dealing with baliffs, but if i get summoned i would be at a loss as to how to proceed.Ive been on several forums looking for advice but their seems little available. On the mp3 you mentioned putting up an affadavit template for the HMRC.I couldnt find it on your site and wondered if you would be putting one up in the future. I would be grateful of any advise you could give me. Superb publish! I absolutely agree with you. Thank you for your insight. Your well written presentation is appreciated. Keep up the good work. Brilliant stuff. 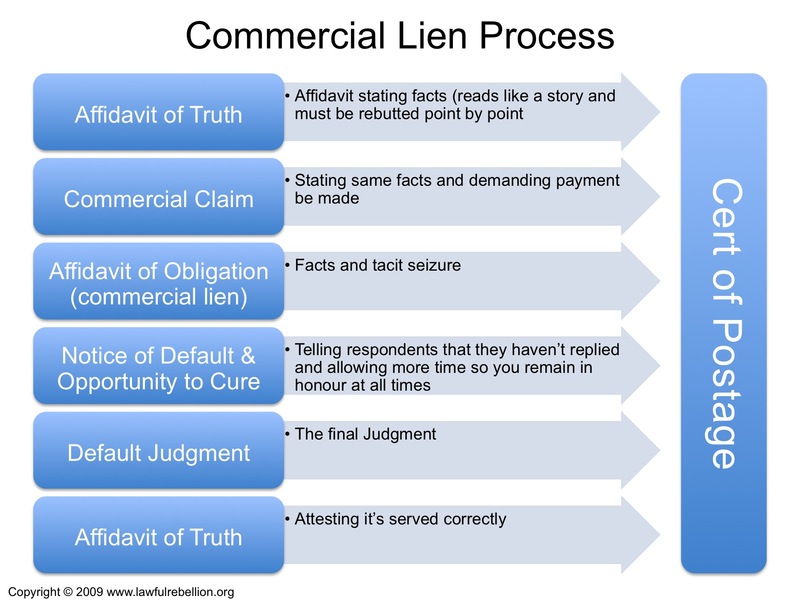 Is there a prospect of doing some workshops on things like using Liens and other complex bits of law? I know I, for one. would really appreciate some face to face instruction. Obviously I would expect to pay for a workshop. I’ve been following these teachings for just over a year now. Lots of incredulous information that is quite sickening when you think of the things the sewer rats, ie the big boys get away with. But, as has been asked many times on a number of forums is any of this stuff actually working? For example mortgages are fraudulent, mortgage deeds are void, serving commercial liens on banksters, corporates… Have these been tried and tested and can anyone confirm this? Or, is it that once these things ‘work’ people are made to sign confidentiality agreements?